Posted September 27th, 2011 by Yvonne Hawkey & filed under Brand Information, Product Brands. What a brilliant company ! These guys have been bringing us superbly engineered musical products for over 35 years. Made in Britain and offering more music for your â€˜pounds sterlingâ€™ than any other products we know of. Such is our faith in Rega that Sonata only recommends their designs for music lovers looking to put together a great entry level system. However, Rega can also cater for something more ambitious too. Their Reference series products have rattled a few cages, again bringing a level of performance that offers exceptional value for this end of the market. Rega has continuously invested in its engineering and manufacturing divisions throughout its history, this has given huge benefits to us music lovers. 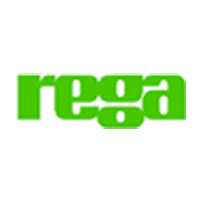 Many Rega products become classics and the company is rightly renowned across the world for its turntables. Musical communication is at the core of Regaâ€™s systematic approach to its products and owning a Rega music system is a sure fire way of getting to the heart of a great musical performance.